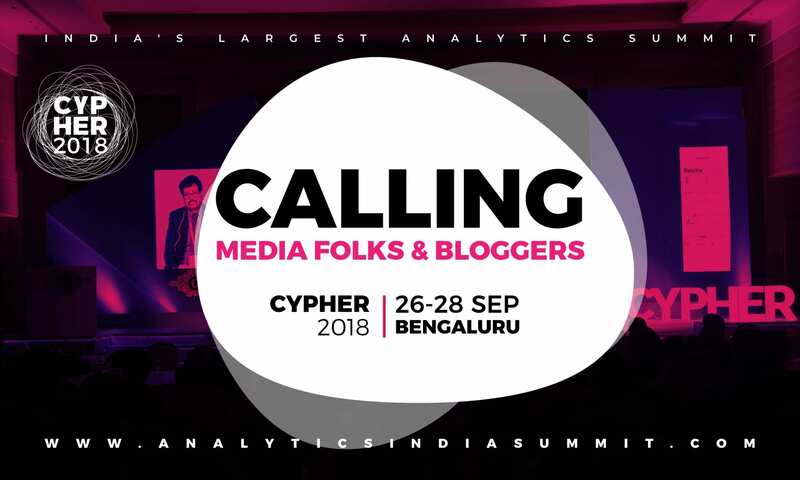 Cypher 2018, the fourth edition of India’s largest analytics summit is set to take the centre stage on 26-28 September at Hotel Radisson Blu, Bengaluru. A simple idea which started in 2015 has been connecting the ever-growing analytics community across the country since then. This year, the summit will see a spectacular lineup of 120+ speakers, 800+ delegates, 300+ companies and 80+ talks — over a span of three days. Cypher 2018 will host data scientists, new tech professionals, CXOs, analytics startups, VCs and analytics aspirants from various industries, which can be defined as the most definite representation of the analytics industry in India. It will provide an excellent opportunity to meet, interact and engage with participants from various segments in the new tech industry. Revolving around a theme of Innovation in Data Science and Analytics, the talks are going to be focused on new emerging technologies such as cloud computing, automation and intelligent platforms reshaping the technology landscape. The summit has been divided into four parallel sessions across three days with tracks — keynotes, panel discussions, workshops and master classes. These engaging sessions by industry experts will bring a refreshing and futuristic perspective on the new tech industry. The talks will also help understand best practices and bring the real-life use cases to solve complex business problems and challenges. Not just the industry peers, Cypher 2018 intends to bring the academia and researchers from analytics, data science and artificial intelligence fields together on a single platform. Apart from the thought-provoking sessions, Cypher 2018 is going to host hackathons, exhibitions, competitions, quiz, networking dinner and more importantly — having a lot of fun. Cypher 2018 will also host the Great Learning Data Science Awards 2018 in collaboration with Great Learning Institutes, which will recognise the best in the data science world under four categories — Emerging data science startup of the year, Best data science project of the year, Best machine learning/AI implementation and Data science for social good. Download our app to engage with the analytics community and stay updated. Download the Attendify app (for android and ios) and search for Cypher 2018. 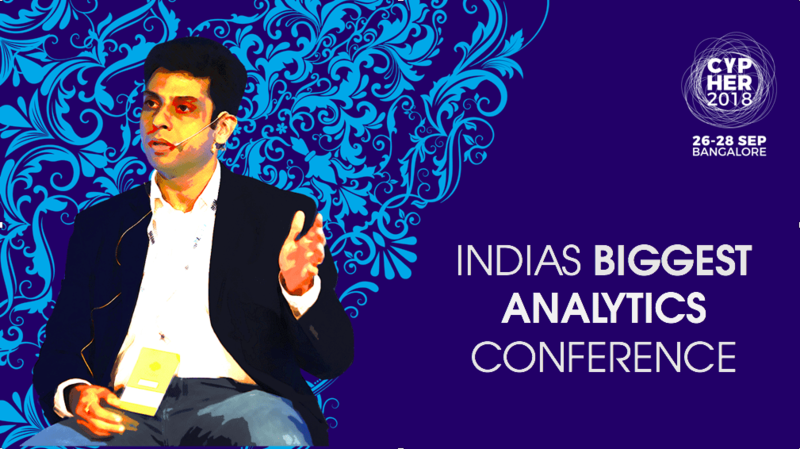 To find more details about the event, visit www.analyticsindiasummit.com. CYPHER, India’s most wide-reaching flagship conference on analytics is hosted by Analytics India Magazine. This is the fourth edition of Cypher, India’s largest and most exciting analytics summit. It offers a platform to network and learn from the leading thought leaders, companies and startups in Analytics, Data Science and Artificial Intelligence discipline. Visit www.analyticsindiasummit.com for more info. When Did It Become So Difficult To Land A Job In Data Science?